From Simi Valley, California, Stewart was a 1st-team All-State nominee and led his team to a conference, division, and state championship. He committed to the University of Nevada to play college ball. 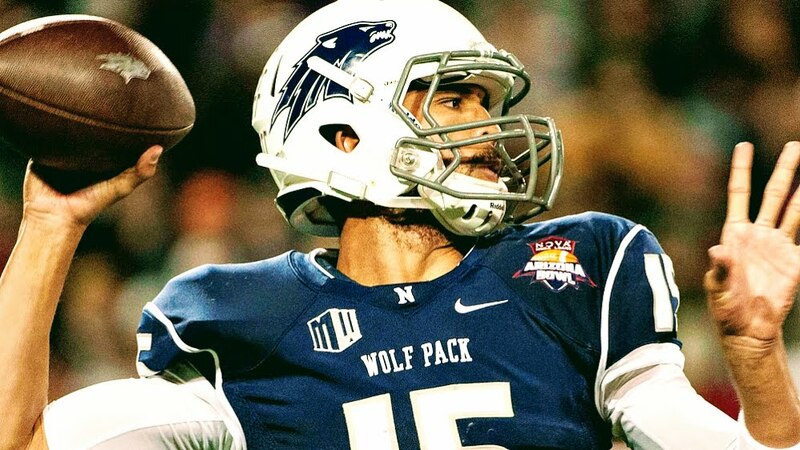 The 6’4″, 200 lb QB became the Wolfpack’s starter as a junior, throwing for 2,139 passing yards and 15 touchdowns and rushing for 323 yards and 4 touchdowns. During his injury-shortened senior campaign, he demonstrated impressive accuracy and efficiency, completing 63% of his passes for the Wolfpack. Despite not posting eye-popping numbers, Stewart’s size, athleticism, pocket presence and awareness, and pro style arm led him to be voted as one of the top 5 most underrated QB prospects by NFL.com, a list that also included Patrick Mahomes II (Chiefs) and Davis Webb (Giants). He is also said to possess a tremendous work ethic and intellect that make him a strong leader. Stewart received strong interest from the San Francisco 49ers and Detroit Lions following the 2017 NFL Draft. In 2018, the 23-year old Stewart will participate in The Spring League to show off his skill set against elite competition in front of the many scouts in attendance.